If you benefit from a small storage space on the horizontal, or you simply want to save as much space in your room as possible, then you need to have a glance at these Tall Jewelry Armoires. They are ready to help you with organizing your jewelry and other accessories. Basically, you can keep anything you want in these jewelry armoires, as you can choose the ones that have all those features that you consider as being important. 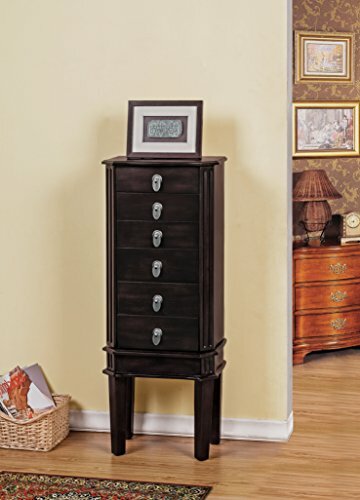 Our selection is meant to help you find the armoire that you need. We know that every customer has specific needs, in matters of style, size, shape, design, color, material, security, and other features. 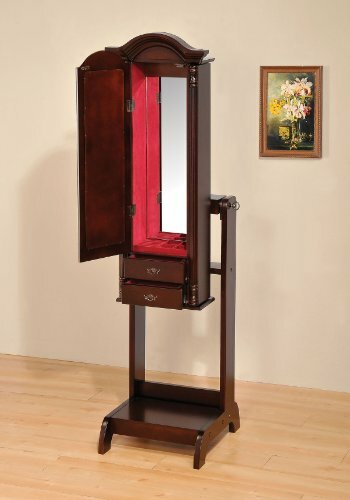 Hence, we selected an array of tall jewelry armoires, to make sure that you find that piece that you need. It depends on your preferences to choose the armoire that suits your home, or even your store. While some of the armoires have simple designs, others come with a series of features. Also, they differ depending on the materials used, so you can find armoires made from various types of wood, of aluminum, MDF board, and other materials. Their finish is also different, as there are armoires with bronze finish, black, white, cherry finish and much more. 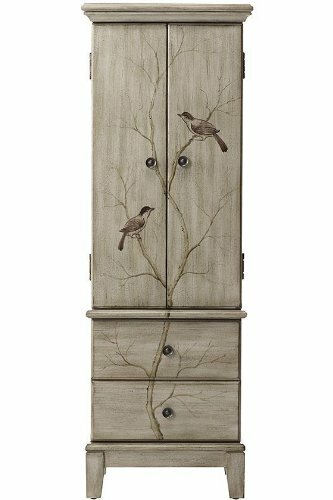 Another option is the number of drawers and compartments that these tall jewelry armoires offer. While some of the armoires only have simple drawers, others have hidden compartments, side swing doors that reveal hooks and other storage spaces, hidden mirrors and other compartments styles. And don’t forget about the style. Some of the armoires are classic, others are modern. Some of them have a rustic finish, others look antique, and others come in a futuristic style. 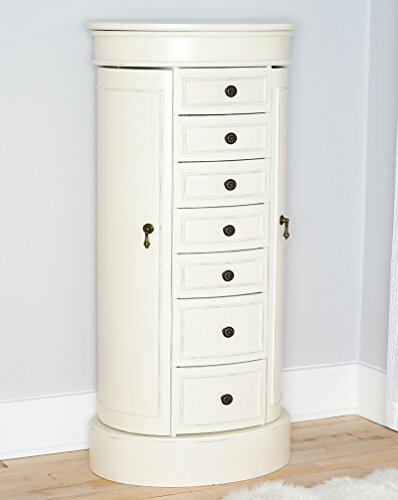 This variety allows you to find the tall jewelry armoire that perfectly matches your room.